Federal university of technology Akure 28th Convocation, 85 first class Student. 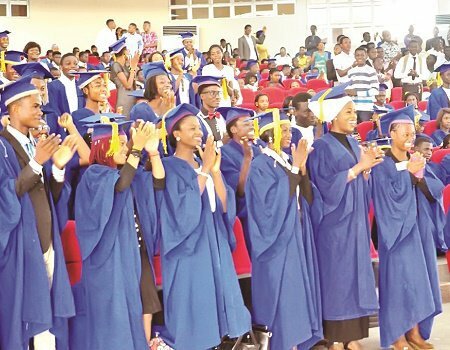 No fewer than 85 graduands emerged in the First Class category at the 28th convocation of Federal University of Technology, Akure (FUTA), on Saturday... The Guardian reports. The vice chancellor, who broke the figures into various academic programmes, said 68 graduands were for diploma programme, 2,889 for Bachelors degree, 954 graduands and 767 graduands for post graduate programme and Masters of Technology respectively, according to him, 112 students had Ph.D degree. Earlier, the Chancellor of FUTA and Emir of Bauchi, Alhaji Rilwan Adamu, ,commended the graduands on their graduation .